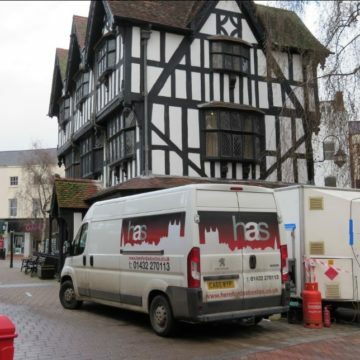 HAS work in the World Heritage of City Bath undertaking large scale asbestos removal and decontamination on historic building, The Bath Press. 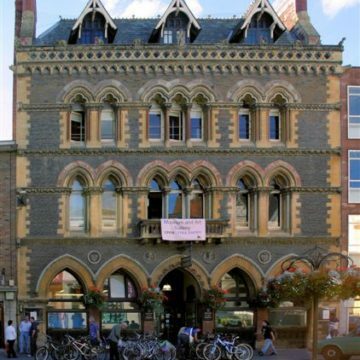 The Bath Press is a landmark building situated in the world heritage City of Bath, North East Somerset. The building was built in various phases between 1880 to 1970. Dating back to 1880’s, the site was first constructed for use as office buildings for Pitman and Sons before being redeveloped for use as a printing press in its later life. 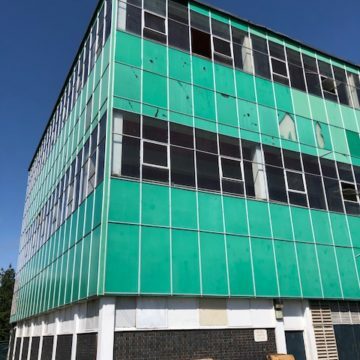 The five-acre site has been vacant since 2007 when Bath Press announced the closure of the site due to the business no longer being financially viable. The site will be redeveloped by developers Spenhill Regeneration and will include 244 new homes, office space and an underground carpark. 14% of the new housing provided will be affordable homes. Plans for a Tesco superstore were originally submitted but then rejected before the current plans were accepted. The iconic front façade of the building and the chimney will remain, with the rest of the building situated behind this, redeveloped. The architects assigned to the project Collado Collins, described the project as: ‘a transition between two very different urban characters and also as a permeable link between the south and the river Avon’. HAS spent nine weeks on site throughout November and December 2017, removing asbestos from various areas of the building. The work was finished on schedule, in mid-December. The work involved large scale decontamination of thermal asbestos insulation to all basement areas and ground floor areas. Removal of thermal asbestos insulation debris and intact asbestos lagging was necessary before demolition. Between the different areas, three types of asbestos were present, Amosite asbestos (brown), Chrysotile asbestos (white) and Crocidolite asbestos (blue). 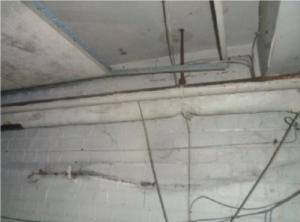 Asbestos was present in several areas of the basement including hand applied asbestos lagging to the pipes found here. Wrap and cut asbestos removal methods were used, as well as shadow vacuuming. Wet Strip or Wet Injection were also used on sections were deemed necessary, as well as dust suppressant spray. There were several large pipes running through a number of rooms within the basement area. These galvanised pipes were lagged with hand applied asbestos thermal insulation. There was also asbestos debris spread back to a depth of one to two metres due to water ingress in the area. HAS constructed six scaffold enclosures within the basement area. There were also four Asbestos Insulation Board (AIB) columns located within the basement, which required stripping and removal of asbestos. 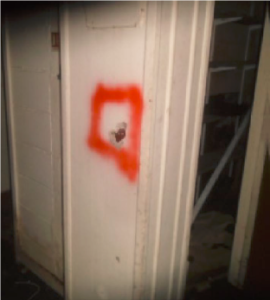 The Ground floor area of the building was made up of multiple areas of Asbestos Insulation Board (AIB), including columns, ceilings and walls. In order to remove this, enclosures were built defined by the scope of the area. The AIB was then removed using a Wet Strip method. This involves the AIB being sprayed with a mixture of water and wet stripped using a pump/spray bottle. The screws or nails holding the AIB were removed using screwdrivers and nail bars, whilst shadow vacuuming was also taking place. 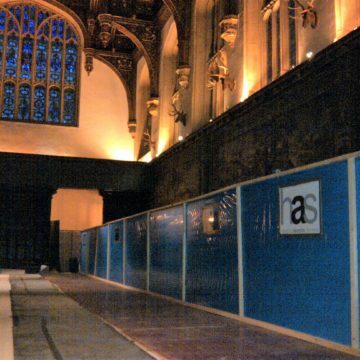 The first piece of AIB was eased away from its fixings to allow the operative spray from above and behind to soak the board as much as possible and therefore minimise any asbestos containing dust that was produced. The remaining panels were soaked from above and removed using the same process. Once the AIB was down and bagged, the nail or screw holes in the timbers were drilled out and then wire brushed to remove any traces of asbestos fibres. The whole enclosure was then cleaned down using tack rags and vacuums. 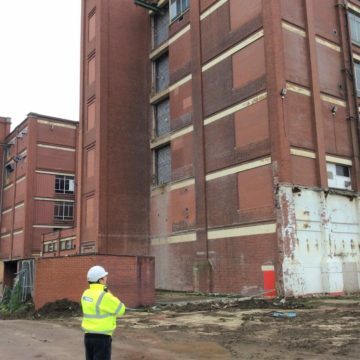 On completion of this, the site supervisor was then able to check the area before the independent air analyst passed it on a 4 stage clearance. 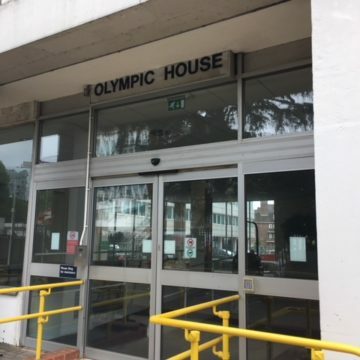 During the period HAS were working on site, The Health and Safety Executive (HSE) visited the site and identified no problems or concerns with the workings of the site. HAS would like to wish developer Spenhill Regeneration every success with the ongoing development of the site and look forward to seeing to seeing the completed development in the future.